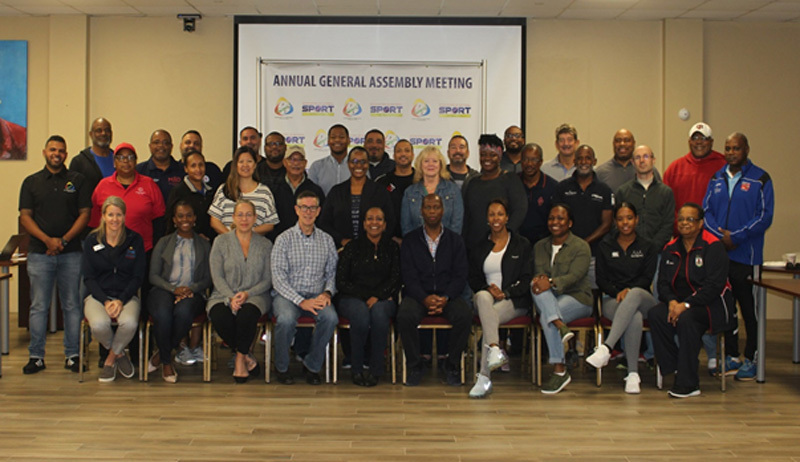 The Association of National Sports Governing Bodies [ANSGB] held their General Assembly Meeting on Saturday, December 1st at the CedarBridge Academy. “Under this banner we are framing our presentations and discussions as well as recognizing those individuals who have selflessly given their energy for the advancement of sporting Bermuda and the wider community,” Mr Dunne said. Minister of Labour, Community Affairs and Sports Lovitta Foggo expressed her admiration for the work that sports does in the community sayin, “I’m sure all of you can appreciate the great impact that sports has on a community. “It unifies people across, even if you will, cultures, and countries because those who engage in sporting activities recognize the commitment and sacrifice it takes to become a well-rounded, high level athlete, sportsman or sportswoman. Following the awards presentation, Norbert Simons and Jekon Edness from the Department of Youth, Sport and Recreation outlined the procedures for the implementation of the National Sports Recognition Policy, which all NSGBs presentendorsed, and the National Junior Athlete Sponsorship Programme and the process that all NSGBs must adhere when submitting their applications. Delegates were also treated to a presentation from Mrs. Kelly Kratz of the “Positive Coaching Alliance” on educating and preparing coaches to deliver the right messages during their coaching programs. NSGBs were encouraged to support their coaches attending the programme which will continue in 2019 as the benefits are immeasurable. In his Presidential address, David Sabir expressed thanks and appreciation for the tremendous sacrifice that sports administrators across the island at national and club level volunteer every day, week, month and year. He encouraged everyone to keep learning and participate in programs aimed at improving our level of sport compliance, including best practice and the implementation of good governance structures in our NSGBs. Mr Sabir raised the issue of betting on sports activities that have the potential to destroy sport through the manipulation of results or match fixing. Although no such incidents have come to the attention of sports authorities; delegates were advised to remain vigilant in order to protect sporting integrity in Bermuda. 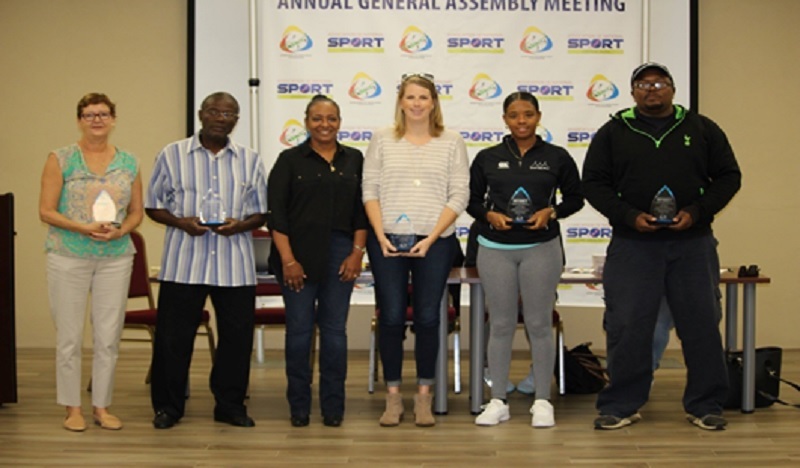 Other matters highlighted were NSGBs participating in courses and workshops organized by the ANSGB, the Department of Youth & Sports, the Bermuda Olympic Association and other organizations which can benefit the continued development of sports. NSGBs gave their full and unequivocal support to the National Sports Recognition Policy as well as the national colours of blue and pink which a number of NSGBs including the Bermuda National Athletic Association, Bermuda Triathlon Association and the Bermuda Football Association have already transitioned to and currently wearing these colors internationally. The delegates were steadfast in their belief that we need to raise the level of national pride, distinguish Bermuda from the rest of the world and create a positive identity of uniformity when national teams travel overseas to compete and represent Bermuda. Members were reminded and encouraged to take advantage of the many opportunities and programs that seek to support their athletes, coaches, administrators and volunteers. Keith De Silva, President of the Bermuda Hockey Federation, said, “It was great to see so many organisations represented today as it shows that they too care about their sport as well as sports in Bermuda as a whole. My daughter plays field hockey and through her passion I’m seeing a love of the organisation and sport that she plays. Bermuda Basketball Association President Ricky Watts echoed similar sentiments, stating, “The ANSGB meeting today was outstanding. The Bermuda Basketball Association is totally committed to the ANSGB and the direction that we are headed. WOW! All those sports in “There is nothing to do” Bermuda. All those sports that thrive receiving little or no Government support yet their participants pay taxes like the two that receive most of the, too often bad, publicity & get the bulk of Government funding.